What will happen to the girl who has everything? After a rough start to life, Shannon Downing finally has it all. She has her Mr. Notice Me, she has reconnected with her long-lost mother, and she is the sole heiress to a multi-billion dollar company. The only problem is going public with that information. Hidden away at a ranch in Texas at her mother’s insistence, Shannon’s world starts to crumble. Not only does she learn of Maisy Field’s kidnapping, but she hears a secret that could destroy everything and everyone she loves. What will happen when news comes out that she is the missing heiress to Downing International? Will she become the next target for the elusive kidnappers? And what about the secret she overheard? Will the love that she and Mr. Notice me share be enough to hold them together? Some parts of my New York life were the same. The main thing being that my dear friends Lorna and Bradley were still a big part of my life. Charlie and I now lived in his stunning penthouse flat together in Brooklyn. By far, the best part about living there was waking up every morning in Charlie arms with the New York skyline surrounding us. I always felt as if I was home. Luckily, I had seen nothing of the Field family; my mother made sure of that. I could only imagine what she must have said to them in their board meeting once we left our island. A few months later, I noticed the Fields lost a lot of stock in some unstable deal, which would have cost them dearly. I had a feeling my mother was making her point. The only major change in New York was my high powered job and how much I loved it. Charlie had been right, and I threw myself into making Headcom the best marketing front line company New York had ever seen. Contracts were coming in from all over the world. As the workload began to double, I took Lorna on as my Assistant Director. She almost squashed me to death in celebration. “No way! Are you being serious?” she screeched as her long red hair danced frantically behind her back. “Thank you, Shan. I really don’t know what to say.” She wiped the tears from her deep brown eyes. “How could I refuse?” replied Lorna, catching me in another body crunching hug. The four of us sat on the balcony watching the traffic glide across the Brooklyn Bridge. Dusk was slowly falling in the distance as we sat sipping our red wine. “Did you watch the game last night?” Bradley asked Charlie. “Did Forever America go for your ideas in your meeting yesterday?” Bradley remembered. “I was going to,” I replied, embarrassed that I had forgotten. “I only told her this morning. Shannon has had an eventful week, promoting some annoying girl at work.” Charlie smiled at me, noticing the panic on my face. He could tell I felt guilty as he changed the topic. “I am not annoying,” Lorna protested, looking at me. I just laughed. “Are we all still up for the charity ball on Friday night?” I asked a few bottles of wine later. “Of course,” Lorna replied, refilling our empty glasses. I wasn’t really sure if I would ever totally prepare myself for that day. Maybe if I hadn’t witnessed what it felt like to be a daughter of a multi-billionaire with Megan, I wouldn’t fear it so much. Megan had been used to her fame. She had grown up with it—loving the limelight and all the perks that came with it. Somehow, I knew it wouldn’t be that way for me. I would be a journalist’s dream story: Princess Rapunzel Returns! Charlie feared how I would handle everything. He wanted to protect me, but he could only do so much. My mother had her own ideas of protecting me. She had silenced all the witnesses on the beach the day Charlie rescued me, promising to bankrupt anyone who broke the confidentiality agreement—it appeared that most of them had been the Fields’ lawyers. Her protection, however, also included living on her ranch in Texas. I didn’t like the thought of being so far apart from Charlie, but I knew it was something I would have no choice but to consider at some point, because even he was telling me it was a good idea. I sat playing with my empty mug, watching Charlie prepare dinner. “You need to at least consider Texas, Shan. Your mother is right about the media circus,” he muttered, bringing Texas up yet again. This was the third time this week. “But I want to stay with you!” I sobbed. “Are you bored of me already?” I asked, suddenly worried. He was the most striking man in the world, after all. He could have had enough of me. “You are so ridiculous sometimes,” he laughed, putting his hands through his deep brown hair as he was walking towards me. “Why?” I asked. He still hadn’t answered my question. He moved his head so our lips were just inches apart. I could feel my stomach burst just at our closeness as his blue-green eyes poured into mine. “Well, if you put it that way,” I replied, overcome by his words. “I can live with that,” I whispered as Charlie’s soft lips pressed tenderly against mine. I knew he was right, but all my life, when things were going right, something bad was always lurking around a corner. That was my old life, though. Surely things were different now. ‘Notice Me’ is an emotional roller coaster full of money, power and love, which takes the fascinating characters on a whirlwind romantic flight of fear and fancy. One man wants Shannon, the heroine to notice him and with his hand written love letters she is helpless to resist. The terrible dilemma facing Shannon once she finds him is an impelling one, when she finally decides to give in to an intimidator’s threats and marry him she does it only to save the love of her life. Breathtakingly tense to the very end . 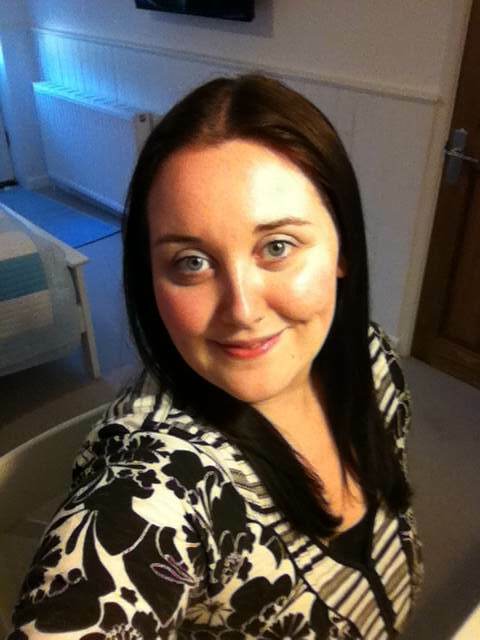 . .
Rebecca Turley lives in the captivating town of Malvern in Worcestershire with her husband Jon and cat Millie. With a view of the Malvern Hills from her writing desk, all she needs for inspiration is to look out of her window. A hopeless romantic like most women, she enjoys becoming lost in a love story almost as much as writing one. 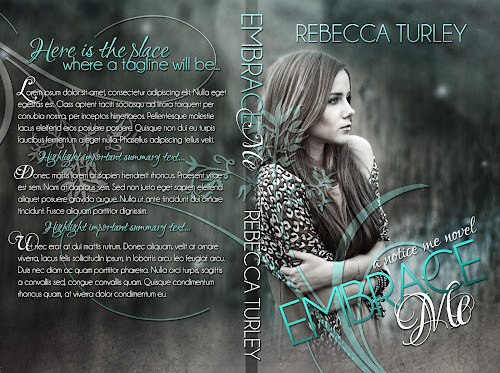 Embrace Me is the sequel to her debut novel Notice Me. How have I not seen this before?! It sounds really good. Thanks for sharing it.